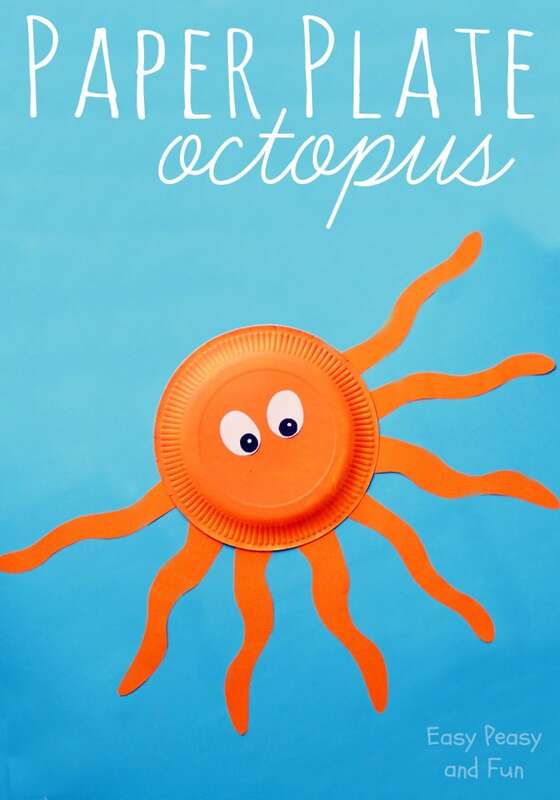 Octopuses are one of the most intelligent creatures in the ocean and they look kind of awesome – so why not make a octopus paper plate craft! 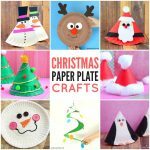 Paper plate crafts are great for all ages – you can make super simple crafts with preschoolers and more detailed projects with older kids! 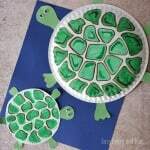 Let’s make a paper plate octopus! 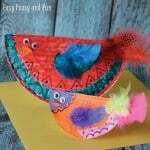 Start by coloring the paper plate. 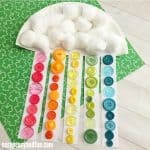 While the color dries we’ll be making tentacles and eyes! 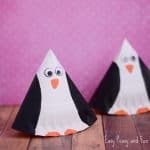 Fold the orange sheet of paper to half – fold that half to half again (I think the technical term for this is double fold). 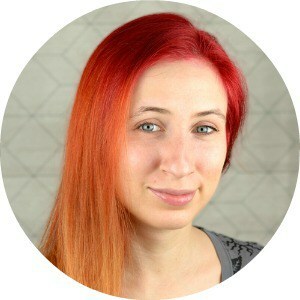 Now draw two tentacles on the paper and cut them – this giving you 8 tentacles! Cut two ellipses for eyes and draw the eyes with black marker. 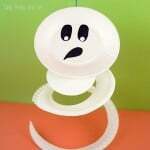 When the color on the paper plate has dried flip it and start glueing the tentacles. 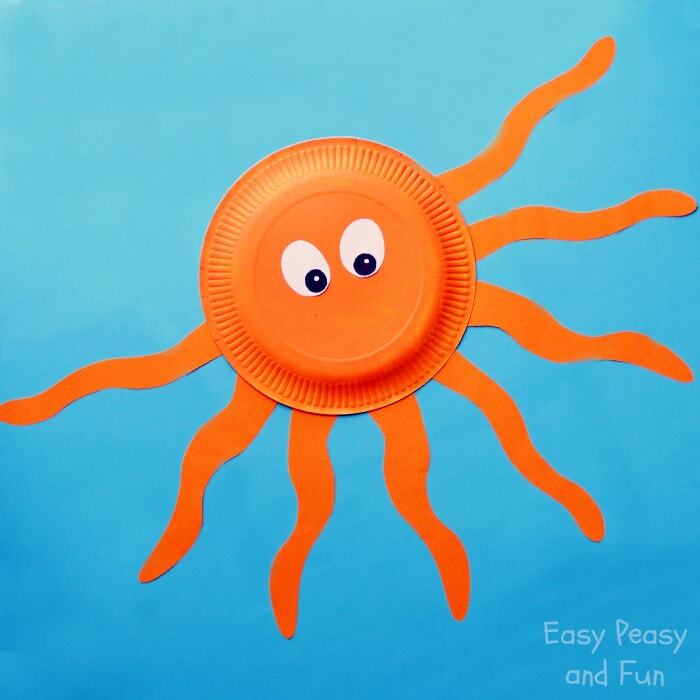 You can go all around (but this way this octopus paper plate craft might easily be mistaken for a sun craft) or just have the tentacles on one half like we do. Now all that is left to do is to glue on the eyes (you could just as easily just draw them directly on paper plate).